According to a recent article from Julie Wink of National Professional Mortgage Magazine, Fannie Mae’s announcement about “trended” data being added to mortgage credit reports for the underwriting process is going to cause a shift in the mortgage industry. This announcement will change how the underwriting system will view consumers. Wink explains various “crucial” points to understand the addition of mortgage trended data. The data will allow a “smarter,” more thorough analysis of the borrower’s credit history. Lenders will now have access to the monthly payment amounts that a consumer has made on these accounts over time. 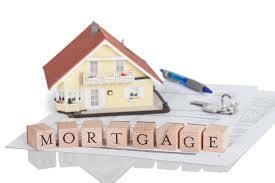 Because of this, the underwriting process can be more “predictive” of who is prepared for a mortgage loan. The way credit reports are ordered will not change as mortgage professionals will be able to access and order credit reports in the usual fashion. Fannie Mae has not shared specifically how mortgage trended data will be scored or how it will impact the underwriting process. The trended credit data information will not show on specific account types, such as authorized user accounts, public records, and accounts with less than six months of credit history. Trended data will show upon the main credit report. In the original plan, there was a link to the trended data, but that has now changed. These trended data changes will have an impact on mortgage credit report costs as both TransUnion and Equifax have announced price increases due to the a more comprehensive credit report. Wink added that this is a positive shift and will help empower mortgage professionals to serve their clients better and offer more people the ability to be approved for a mortgage loan. If you have any questions about this or anything else in the mortgage industry, please don’t hesitate to give me a call so we can discuss whatever is it you are thinking about.